If you seek a military-style jacket that can protect you against the winter conditions, look no further than the N-2B flight jacket. This short waist parka is meant to withstand freezing temperatures, with its 100% water repellent nylon shell and polyester interlining. Unique 'pass through' front pocket was created for pilots to have the ability to reach into their pants pockets without subjecting their hands to cold temps. For extra protection, the hood is lined and trimmed with synthetic mouton fur. 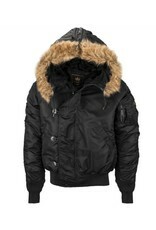 This dry clean only N-2B parka features a zip-down hood, and knit cuffs/waistband. Alpha's heritage flight nylon short waist parka. 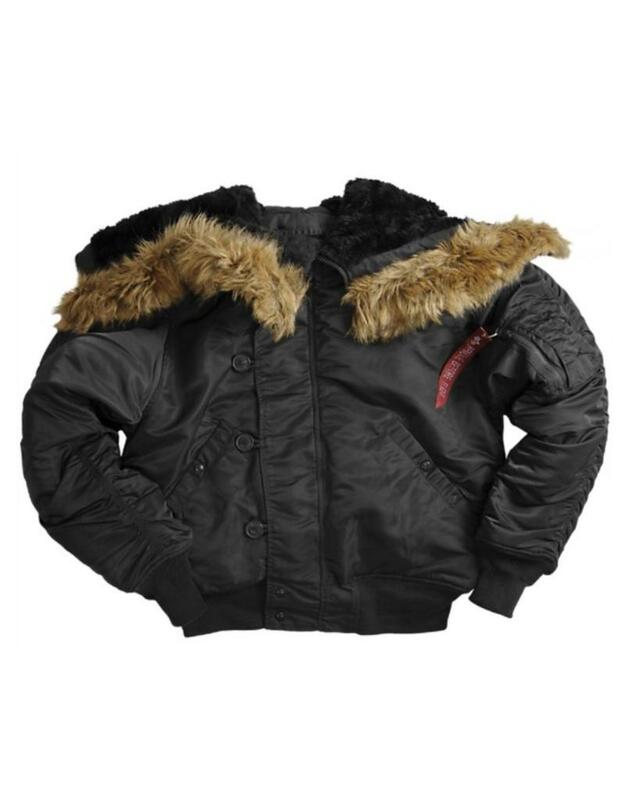 The N-2B parka was introduced in the mid 1950s for U.S. Air Force air and ground crews. It replaced the N-2A. Alpha started making the N-2B for the DOD in 1963. Some of the classic mil-spec features were the front pass-through pockets (so that pilots could reach their pants pockets without being exposed to sub-freezing temps), split hood that unzips to lay flat, and the zippered utility/pencil pocket (originally called the cigarette/pencil pocket) with pencil point protectors. We went on to make the N-2B parka for the U.S. armed forces for the next 33 years. 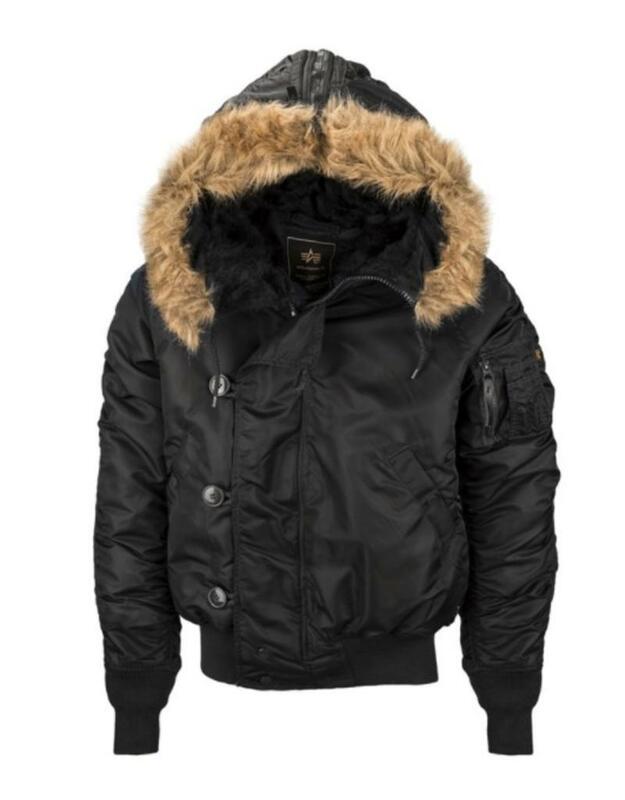 In the late 1980s we started making the same short-waist parka for the commercial market. It maintains the features from the military version.